Should local churches be autonomous? In my childhood as a missionary kid, I grew up without a denominational connection. 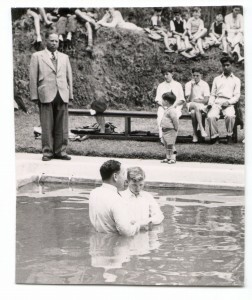 I was baptized in the swimming pool of my MK school in South India, having been examined by the elders of a Brethren Assembly, but it was a joint service with the non-denominational church in which I worshipped for much of my childhood, along with fellow MK school boarders. Back in Canada, I later married a young woman who had grown up in a very fine Baptist congregation, and I was happy to join her there when we got married. That congregation eventually ordained me, and they later commissioned us as their missionaries. I remember being a bit stunned when I saw my ordination certificate to “the Baptist ministry,” because I thought I was being ordained to the gospel ministry. Nonetheless, I did know that I was being ordained by a Baptist congregation, and I had studied their tradition sufficiently to be happy with that identification. I had learned quite quickly that Baptists believed in the autonomy of the local church, and I did not find the doctrine problematic. Since then, through years of teaching theology in trans-denominational settings, I have occasionally wondered whether the Baptist commitment to local church autonomy was either healthy or well grounded in Scripture. So I was ready to benefit from a paper by my friend Stanley Fowler (“An Analysis of Baptist Arguments for the Autonomy of the Local Church”), presented at the annual ETS meetings, in San Francisco last November. Recently, I gave his paper another close reading, along with his essay “Churches and the Church,” in Recycling the Past or Researching History? edited by Philip E. Thompson and Anthony R. Cross. I think that Stan has achieved his purpose very well, which is “to question the assumption shared by most Baptists that a strong doctrine of church autonomy is biblical, historically Baptist, and important for the health of the Church” (“Analysis,” 4 [from here on, page numbers will refer to the ETS paper]). For the benefit of possibly interested readers of this blog, I want to share the main points of Stan’s paper here, since it was his more recent presentation, although corroborative data can be found in his more extensive published essay. Stan observes that “there is no standard Baptist rationale” for the common commitment to autonomous churches, and that “the concept is often assumed rather than defended” (5). But he pulls together helpfully the key supporting arguments that show up in Baptist literature. The narrative-historical argument posits that “there is no description of any kind of supra-congregational governance structures” in the NT, and so “no such structures should be created’ (5). This follows from a Baptist form of what Reformed churches call “the regulative principle,” namely that we should only worship God in the ways that he has commanded. Baptists often appeal to the same argument to support their rejection of infant baptism (5). The biblical picture of church discipline portrays the local congregation as “competent to carry out church disciple without any supervision from above,” as is seen in the instructions of Jesus in Matthew 18, for instance, and in Paul’s teaching in 1 Corinthians 5-6 (6-7). The Jerusalem Council is appealed to by all three common forms of church government. Episcopalians underline the key role of James, Presbyterans emphasize the participation of leaders (elders) from Antioch and Jerusalem, and Baptists focus on Luke’s mention of the whole church at Jerusalem. In that Baptist perspective, the final decision “represents the opinion of the church at Jerusalem, not a decision of a wider council. It is the answer of one local church to a question from another local church, not an authoritative statement of the whole Church” (8). In Revelation 2-3, which most scholars date in the late 1st century, the risen Christ “addresses each of the seven churches indvidually, with no reference to any kind of federation of the churches (‘the Church in Asia’)” (9). In the middle of the 19th century some Baptists “developed a new ‘high church’ ecclesiology for Baptists which affirmed, among other things, that the Bible contains no concept of a universal Church at all” (10). This position came to be known as Landmarkism, and it has had significant influence, even though it was formally adopted by a small minority of Baptist churches. From the Landmark perspective, the NT references which are not clearly to local bodies, “may plausibly be understood as generic or heavenly/eschatological,” in the same way that we might speak of “the family in contemporary Canada,” meaning the family as an institution, while referring to “families” (10). A sixth argument is pragmatically based in a theological concern, rather than being an explicitly biblical-theological argument. It arose in situations where Baptist associations were being dominated by elites who were theologically liberal, and the large but less powerful majority of members of congregations within those fellowships were concerned to protect doctrinal purity. An emphasis on congregational autonomy appeared to many to be essential to their efforts to prevent the liberalization of the entire fellowship of churches (11). The narrative-historical argument “works only if one assumes as a second premise a strong form of ‘the regulative principle,’ and this is difficult to sustain. . . . Virtually no Baptist actually assumes that everything absent from the pages of the NT is thereby forbidden” (6). For instance, if the principle were rigorously applied, the kind of voluntary organizations for which Baptists value their associations would also be ruled out, since “there are no formal structures for mission or any other cooperative ventures” in the NT narrative. In the argument that NT churches were competent to render final judgment in matters of discipline, Stan finds a “sweeping argument from silence” (7). He acknowledges that “discipline ought to occur at the level of the local church,” but denies that the NT asserts that to be the only level at which it should be exercised. He offers examples of situations which make wider action desirable such as: (1) a claim by a member of one church that he has been wronged by the member of another, or (2) concern that one church has wronged another church. “Furthermore, the biblical texts commonly utilized in this argument deal with issues of personal behaviour, but this does not touch on the whole issue of doctrinal accountability to the wider church” (7). Stan finds it difficult to correlate the Jerusalem Council “with a radical congregational autonomy” (8). The question was addressed to the apostles and elders (15:2). “The underlying assumption is that the churches everywhere should be united on this matter of doctrine and practice. The answer developed at the gathering is sent to churches beyond Antioch (vs. 23), “and the content of the decision is more than a simple answer to one question (vss. 20, 28-29). The Landmark argument, which identifies only local Baptist churches as true churches is especially peculiar, because it “isolates baptismal practice as the ultimately definitive criterion of a true church, in spite of the fact that the biblical images of the church are diverse and allow for multiple ways of identifying a genuine congregation” (10). However useful the appeal to local church autonomy may have been in combating liberalism in Baptist associations, its effectiveness doesn’t ground principled congregationalism. “Wider structures of doctrinal accountability could in fact be the means of defending orthodoxy, and one might argue that radical autonomy allows all sorts of doctrinal deviations to spread freely” (11). The NT indicates a concern for unity of faith and practice on important issues. Paul appealed to the churches in Corinth to pursue this together, revealing an assumption that mutual accountability existed between them (1 Cor 11:16; 14:33). This point has already been made in regard to the concern that Antioch and Jerusalem act in the same way regarding the important issue of the Law’s demands of Gentiles (Acts 15). Stan observes that an application of the principle of congregational autonomy, in that case, would probably have brought about Gentile churches and Jewish churches which had no tangible link to one another. For Paul, the metaphor of the church as the body of Christ is not simply about the connection between members within a congregation, it is about “the universal community of believers” (13; cf. 1 Cor 12:13, 28; Eph 1:22-23; 4:3). Paul urged the churches toward “full unity in the truth,” without specifying the inter-congregational structure which should be established to bring this about (13). Stan also points out that the doctrine of congregational autonomy is something of a novelty in Baptist thought and practice, not the uniform tradition that many North American Baptists assume it to be, in ignorance that Baptist churches elsewhere do not share this ethos. An illustration of this global difference is seen in “The Baptist Doctrine of the Church,” which was adopted by the Baptist Union of Great Britain and Ireland in 1948, and which is expanded in the writing of British Baptist leaders such as Paul Fiddes and Nigel Wright. When the Abingdon Association was founded in 1652, they formulated a positive rationale for association by applying the NT principles for interdependence between individual members of the church to the relationship between churches and the Church. They argued “that such association provides mutual care among the churches, establishes mechanisms for keeping the various churches pure in doctrine and practice, translates love for others from attitude into action, assists the local churches by wise counsel from the wider body of churches, and facilitates witness to the wider world” (14). Pragmatically, Stan argues “that the absence of connectional structures is unhealthy for the churches, in that it fails to provide for inter-church discipline that all churches recognize as necessary in extreme situations” (15). He points out that efforts to maintain doctrinal purity by expanding statements of faith sometimes serve that purpose but they do so by shrinking the denomination. If churches had a prior commitment to accountability to the wider church, the structures established to implement that accountability might make it easier to bring erring congregations back to orthodox belief and practice. As I said at the outset, I found Stan’s paper both informative and helpful. I welcome your comments on the biblical-theological validity and/or benefit of inter-congregational authority structures. I realize that this issue is very large, and it is emotionally charged, but that doesn’t make discussion futile, as we seek tangible means of fostering the health of the “one, holy, universal and apostolic church” that Christians have commonly confessed for many centuries. I would love to see a smaller gap between our confession and the visible reality in the church around the world. This entry was posted in Ecclesiology and tagged church government, Stanley Fowler. Bookmark the permalink. 13 Responses to Should local churches be autonomous? I appreciate this summary of Fowler. I would say that that extreme forms of “autonomy” are unbiblical and ungodly. I also think that the regulative principle should have some kind of bearing upon church government, and that the Scripture itself calls for local churches to be aware of their accountability to other churches, while also not “lorded over” by other churches or individual leaders. My own church (Reformed Baptist) has sought to affirm a kind of balance regarding this topic, in the following 3 paragraphs. I’d be very interested in any feedback that you [or anyone else] might have – either affirmative or critical. This is all part of our calling to look outside ourselves, and to learn from the godly wisdom of others. In recognition of the fact that our Lord Jesus Christ is still building His Church worldwide and is involved in the life of all of His churches (Matt 16:18; 1 Cor 1:2; Eph 1:22; Rev ch.2-3); and because He wills for there to be communication between His churches (Acts 15:2-4, 22-31; Rom 16:5, 23; Col 4:16; 1 Thes 2:14), our church shall seek to benefit from the godly wisdom of other Christ-honouring churches, with Scriptural discernment (Acts 17:11; 1 Thes 5:21; 1 John 2:26-27). Nevertheless, because the Lord has not appointed any perpetual offices of authority on earth to rule over multiple churches, but has only appointed the perpetual local church offices of pastor/elder/bishop and deacon (Acts 14:23; 20:28ff; Phil 1:1; 1 Tim 3:1ff; Titus 1:5ff), no ecclesiastical decision of any other church, leader, or group shall ever be treated as binding upon this church (1 Cor 5:4-5,13; 2 Cor 2:6-8; Rev 2-3). This church shall at all times be led by the Lord according to His Word, through the scripturally-regulated and Spirit-filled leadership which God gives to our own particular church (Phil 1:1; Heb 13:7,17). While this church must strive to relate in love toward all other churches and saints (1 Cor 1:2; Eph 4:1ff) it also has a pressing obligation to continually maintain a clear biblical separation from all false teaching, worldliness, and ungodly associations (2 Cor 6:14-17), and to “pursue righteousness, faith, love, and peace with those who call on the Lord out of a pure heart” (2 Tim 2:20-22). At the discretion of our elder(s), this church may be part of an association of churches which stands in substantial harmony with our Confession of faith, for the sake of promoting the communication of wisdom and love between the Lord’s churches (Prov 11:14; 12:15; 15:22; Acts 9:31), and to help serve as a visible witness of our unity and common faith with these other churches (1 Cor 1:2; Eph 4:1ff). However, our church must not become part of any formal association of churches which substantially contradicts the doctrines or practices described in our Confession, or which seeks to become an ecclesiastical authority over this church, or which appears to admit into its company any ungodly or heretical churches or leaders (1 Cor 15:33; 2 Cor 6:16-18; 2 Tim 2:20-22; 1 Thess 5:21-23). I appreciate the care that you and your congregation have given to addressing the matter of association with and relationship to other churches. I suspect that you work with a somewhat stronger regulative principle than I do. For instance, it looks as though you consider pastor, elder, deacon, and bishop to be prescribed offices. I don’t. In regard to the structure within first century churches, I think that the NT is primarily descriptive. What informs our decisions about structure is the things about which Scripture clearly teaches normatively – the nature of the church and the qualities essential for church leaders, and the mission of the church. But I think that structure should serve mission. We need to find ways within our own contexts to enable Christ to exercise effective headship of the church through his Word, and to enable the congregation to do what Christ intends churches to do in their relationship with him (worship), one another (edification) and the world (service and propagation). I may also be less committed to congregationalism than your church is. For instance, I don’t see a presbyterial structure as ruled out by Scripture. It acknowledges that Christ is head of each local church, but it allows those churches to voluntarily give up some of their independence, and to submit themselves to the authority of a church body on which they have representation. I see nothing in the NT to rule out the possibility that Christ might effectively exercise his rule of a local church through a hierarchical structure. The godliness of the people involved will always be more important than the structure within which they work. Recognizing that even the most godly among us are sinners, however, we still need checks and balances, ways of preventing abuse of power etc. In regard to your principles for association, I wonder if you have considered the possibility that there needs to be a hierarchy of truths, and that this hierarchy should then inform the relationships with other churches into which we enter. I wonder, for instance, whether you would become members of the Evangelical Fellowship of Canada, or consider some sort of cooperation with the World Evangelical Alliance. EFC is an association that certainly includes evangelical churches which could not affirm your Reformed Baptist confession. There are Presbyterians, Methodists, Baptists which have no position in regard to whether God works monergistically or synergistically in salvation etc. But their fellowshipping under an evangelical banner enables them to have a voice in society and government, which could not be achieved by completely unassociated congregations. Would cooperation with other church bodies for limited purposes be allowed for instance, where you want to unite your resources for greater effectiveness? It has been interesting to see Protestant fundamentalist and Roman Catholic bodies uniting, in the U.S., in efforts to protect the life of the unborn. This is where the hierarchy of truth becomes helpful. For some congregations, everything is of the same importance and no form of association, even for limited purposes, is possible with any group that does not totally agree. I could not tell from your own policy statements whether or not this is your situation. Those are a few things that came to mind as I read your statements, for the development of which I commend you and your congregation. Terry: I’m honoured by your extensive engagement with my paper, and I hope we can create some wider conversation about the matter. Chris: I applaud the concrete steps that your church has taken toward connection with the wider Church. I certainly agree with your commitment to connect only with other churches that take doctrinal purity seriously. I see at least two points that might merit further discussion: (1) In your construct, formal association with other churches is still optional and not normative. Granted that the NT does not spell out any kind of formal inter-church structure, I’m still inclined to think that the NT picture of the Church as a universal body logically leads to formal connection as part of the ontology of the Church. This is a bit like saying that although the NT doesn’t spell out the concept of “church membership” in so many words, it is a logical inference from the NT picture of the church. (2) You agree with me that there is biblical reason for churches to be accountable in some sense to the wider Church, so I think our ongoing task is to discern what exactly that ought to mean in practice. I’m comfortable with saying that churches ought to defer to doctrinal parameters defined by the wider body with which they are formally united, but I’m open to discussion on that point. Thanks for your contribution to this discussion. Thanks for your observations & thoughts. It seems like the Particular Baptists, of the late 1600’s, wanted to affirm something closer to a Presbyterian model, than what many “independent churches” would today affirm – but yet the LBC statement limits the role of the “council of churches” to be advisory and not formally binding. In practical terms, the council of churches might make a declaration, but then each local church itself must finally discern and decide if they will corporately agree with that declaration in the light of Scripture & conscience. Our church is very young (constituted in March 2012), and we are not yet formally joined to any association. However, we have been in contact with ARBCA, and we have made use of the advice from ARBCA churches already. As pastor, I do believe it is our obligation to be joined to an association, if and when this would become possible. I see this as promoting maturity in the will of Christ. Chris, I’m very familiar with the Second London Confession approach, and I think it would be a huge step in the right direction if Baptist churches followed that pattern. Like Terry, I’m open to a stronger sense of the authority of the wider Church, but if churches took seriously the counsel of the association and rejected that counsel only if they simply could not follow it in good conscience, that would bring the Baptist and Presbyterian structures pretty close together. The problem that I have seen in many Baptist circles is that there is no functional association comparable to the 17th century associations. Often the association is no more than a monthly lunch for pastors. I would be happy to see even small steps in the direction of what the 1689 Confession envisions. 1. In regards to your question, Terry – I don’t think that our church’s statement intends to define how our church might relate to other associations, which might unite diverse groups to make a statement concerning some particular political cause (i.e. : the way Fundamentalists & Roman Catholics, etc. unite against to protect the lives of the unborn). Furthermore, our statement seeks to guard against joining a church association which is “substantially” contrary to our statement of faith. This allows for association with those who might have “no opinion” on things which we feel to be important, and it even allows for association with churches who have various differences, not deemed “substantial” – giving us a general principle to affirm, while allowing the church to discern along the way. 2. One of the big questions in this discussion is the degree to which we see Scripture regulating matters of church government. Although we must be careful not to read too many “prescriptive” ideas into “descriptive” material, it seems to me that a fairly strong argument can be made for seeing two offices (elder/pastor & deacon) as the biblical norm. This understanding has been regarded by multiple kinds of churches, especially Reformed Presbyterians and Reformed Baptists; and I think it has strong basis. If we accept that there are [only] two kinds of offices ordained for the local church, then further discussion concerns the proper responsibilities & limitations of elders & deacons in relation to the elders & deacons of other churches. It seems like you are open to the possibility of a “hierarchy” of some kind, to which a local church might “willingly submit itself – with representation. I take this to mean that you would still be uncomfortable with certain forms of hierarchy, for certain practical reasons. I don’t think that you and I are really that far off in this regard. Its only a matter of degree & detail. I agree that church “structure should serve mission” – however, since the mission of the church is the same in every generation & culture, I don’t see this as an argument against upholding (as norms) the offices of “elder & deacon.” In fact, I think that this helps to promote the mission of the church – to affirm that God is the One who builds & regulates his church, even regulating those church offices which greatly give shape to the “family dynamics” of church life. I personally think & feel that it makes a positive difference, to be part of a church where we regard our “offices” as ordained by God in Scripture, rather than regarding our “offices/roles” as either “traditionally” or else “pragmatically” defined. I very much appreciate this discussion. It is important, not only as an academic theological discussion, but also for the well-being of all our churches and their members. It is also crucial for our witness to the world around us. As a Baptist (Reformed Baptist) living in South Africa (I have also lived and ministered in Zambia), I have seen how reluctant churches can be to properly implement 26:14-15 of the 1689 Confession, even when they have formally subscribed to the Confession. The idea that autonomy gives churches the right to do as they please without reference even to their sister churches seems very hard to overcome. One issue that I don’t find being addressed in this whole discussion on autonomy is the question of what actually constitutes a local church. Even if we accept that local churches should be autonomous we need to ask what the New Testament would regard as a church. In our own day, it is any group of Christians who organize themselves into a body which they call a local church. There might be five or ten in one suburb, and when a church splits the separate groups that are formed both claim the right to exist as autonomous local churches. Yet in Revelation 2-3 we read the letter to the church (not churches) in Ephesus, Smyrna, Thyatira, Laodicea, etc. Paul writes to the church (not churches) in Corinth. Paul instructs Titus to appoint elders in every town, which means either that the elders had leadership over all churches in the town (i.e. no autonomy), or that there was just one church in each town. I find it hard to believe that the apostles would have approved of our present-day practice in this regard. (How many churches are willing to apply the Regulative Principle to this issue?!) This point alone would radically affect the way local churches relate to each other if we were to take it seriously. I would very much like to get hold of Stan’s original article. I looked for it on ATLA but couldn’t find it. Has it been published, or was it only presented orally? May the Lord Jesus be glorified as the Lord of his churches! Bruce, the paper was given at ETS but has not been published. I would be happy to send it to you if you will send me your email address. I had given Bruce the info to contact you through Heritage, Stan, so I expect that you will hear from him. I have been looking at this concept of autonomy and found it without scriptural support. Basically, autonomy means self-rule, and yet most argue that churches are part of Christ and thus Christ rules, so if so, then there is no autonomy. Now this is used to suggest that other congregations or another set-up can’t rule over another congregation, but this has nothing to do with autonomy, but authority in regards to that which has no scripture. As a church cannot tell another church to do something, a person can’t tell another church to do something, a church can’t tell a person to do something, a person can’t tell another person to do something…that is not written in the scriptures. And if written, then it is God who is telling all of us. It is thus interesting that a visiting preacher will get up and say that church autonomy is where one church cannot tell another church what to do, even though the visiting preacher is from another church. The biggest problem I see for seeing church autonomy in the early church deals with the logistics of the early church, meaning that while Paul addressed churches in cities, Paul also addressed churches in homes within those cities. Now which church was autonomous? If the church that met in the homes was autonomous, then the letters to the church in the city really didn’t apply to them or did it? But since the letters were written to the churches in the cities, then the churches in the homes must have also been included as well. The point is that the Word of God permeated through to all saints in whatever form they were in. If it wasn’t the Word of God, then no saint in any form was under any obligation to follow the rules. In reality the church is not between God and man, but the church is the people. It doesn’t have self-rule, because God rules. And beyond that man can do anything he wants to as long as it doesn’t contradict God’s rules. It all comes down to what the church is. The church is the people…always. If a group, then this group is registered in heaven. The church, much like the kingdom, is something you can be joined to, but it is heavenly construct built out of the Spiritual on earth. Saints are to be united in Christ and through Christ. The congregation of people existed in many forms, that we know of…spread out, in towns, in regions, in homes, etc. They assembled, but we are not told these assemblies were static and bound together on any other basis than the individuals faith in Jesus. So the saints gave…to other saints locally or other saints far away and to the needy who were not saints who they came into contact with on a daily basis. They had a relationship and cooperated just like any family member would in a general way. When the family members happened to gather in one spot, they didn’t become static groups apart from other static groups. They were not told to act as static groups, but as saints.